I imagine since the days of the early Olympics in ancient Greece athletes, coaches, families and fans have contemplated the impact self-confidence has on athletic performance. 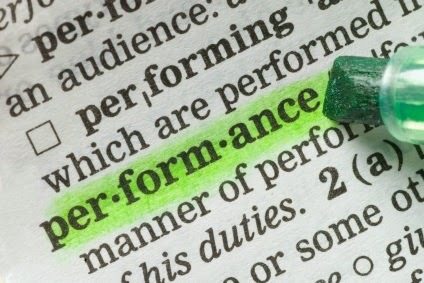 More recently behavioral psychologists have proven a correlation between how game performance impacts self-confidence. In other words sports confidence and sports performance are attached at the hip for EVERY athlete. One drives the other in an inescapable "cause and effect" relationship. 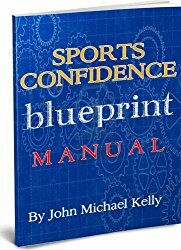 It is undeniable, then, that self-confidence is the single most consistent factor and predictor of the level of success any athlete will achieve. Adding to the degree of difficulty for any younger athlete is the reality that sports confidence can be strong one minute and fragile the next; leading to the inconsistent play we know all too well as coaches and sports parents! A feeling or belief that you can do something well. Sure of oneself; having no uncertainty about one's abilities. And, as always, more hitting or pitching lessons often isn't the answer to building stronger confidence and elevated individual and team game performance; that answer usually lies between the ears and takes the powerful form of thoughts and emotions. As humans we all have over 50,000 unique thoughts every day that create countless emotional states we can slip in and out of quickly or be stuck with for days. So with that...let's move on to the strategies! 1. 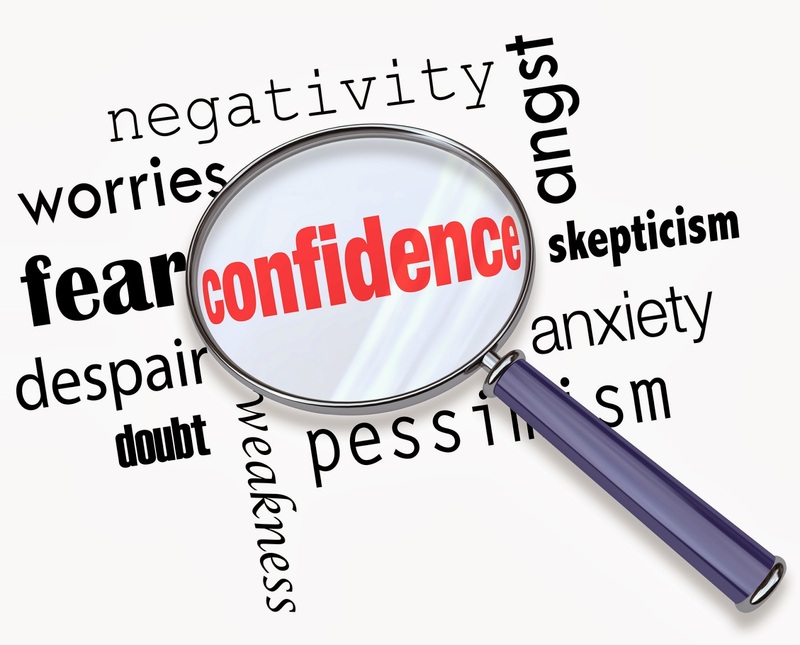 "Trait" vs. "state" confidence - This refers to macro ("trait") and micro ("state") conditions of confidence; meaning does your athlete have an overall self-confident mindset as a person? Does she possess a high level of overall self-esteem? Does she see herself, overall, as a good and competent softball player? In the "state" condition of confidence does she have self-confidence in the moment; immediately after adversity strikes on the field? Can she summon a high level of sports confidence with the game on the line? This is "state" confidence. As parent or coach it is essential to recognize the difference between "trait" and "state" confidence in an athlete. As coach you may not be aware of home or childhood issues that could be a foundational cause for low self-esteem or self-confidence levels. Trying to focus on her "state" confidence may prove less than successful if her dominant "trait" confidence levels are low. Likewise she may have extremely high levels of "trait" confidence yet still get overly anxious before or during a game or pivotal moment. Her high levels of "trait" confidence may allow you to push different buttons to activate her "state" confidence on the field. 2. The role thoughts and emotions play - The ultimate cause and effect relationship exists for every athlete with how she thinks and feels before, during and after a practice or game. Thoughts give birth to emotions, and emotions propel thought patterns. Simply stated limiting/negative/"can't do"/resistant thoughts lead to the elevated emotional states of frustration/anger/sadness/embarrassment/fear/anxiety (all of which tear away at confidence and performance levels). While expansive/flowing/"can do"/positive thought patterns lead to the steady emotional states of joy/happiness/excitement/anticipation/calmness/focus (all of which propel confidence and performance levels). The thoughts and ensuing emotions/feelings are a constant battle for younger athletes; particularly female athletes in my 12 years of coaching experience. As parent or coach you have the opportunity and responsibility to help your athlete(s) to recognize that they control their thinking and have the power to "manage" (not CONTROL) their emotional states. There are many techniques to shift thought patterns, including proper breathing, positive trigger statements and the use of mental imagery among many others. 3. Physical/mental mastery - Confidence and performance will absolutely improve with the proper physical and mental preparation. The more competent a younger athlete is the more confident she will feel and play. In a sport as difficult as fastpitch softball every athlete must become proficient, then ultimately master both the physical and mental skills necessary to succeed. 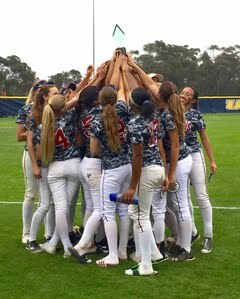 Physical and mental mastery of their sport allows an athlete to extend their sense of "certainty" and belief that she can and will succeed on the diamond. This underpinning of physical/mental mastery is a huge predictor of game day sports confidence and performance. 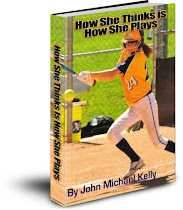 As parent or coach the monotony of practice reps in softball can wear on a young athlete, yet it is the slow and steady mastery of these skills and the mental IQ of the game that ultimately builds the rock solid sports confidence every coach and parent seeks for their daughter and team. If she has successfully executed a game task or skill hundreds of times on the field (and in her head) she will play with confidence, void of the hesitation and doubt that kills game performance. 4. Environmental comfort zones - For any athlete her environment plays a huge role in the stability of her sports confidence. A stressful environment full of elevated performance expectations from parents or coaches can leave an athlete with a very fragile "trait" confidence condition; making her game "state" confidence equally shaky. And yet growth can only occur for a younger athlete when she is willing to risk leaving the security of her comfort zone for a new unknown environment (new team, new coaches, new age level, new competition level). It is a vexing paradox for sure. As parent or coach your role in growing your athlete(s) sports confidence is to be mindful and sensitive to her environmental comfort zones. This can include changing routines; changing positions on the field or even her spot in the batting order. The key here is ALWAYS good communication; giving the athlete as much advance notice as possible of any planned changes in her comfort zone so that she can mentally prepare herself without puncturing her sports confidence balloon and with it tanking her game performance. 5. The Impact of Coach or Parent - Strictly within the context of confidence and performance any adult role model or authority figure will have an enormous impact on any younger athlete. 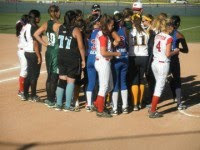 As a coach your players, particularly teen girls, will be constantly evaluating your leadership skills. Are you fair in how you treat each player? Do you possess the tactical and strategic skills to put each player and team in an optimal competitive position on game day? Are you a good communicator? Can you motivate and stick by the team through thick or thin, or do you give up on a player or the team when things on the diamond start going ugly? Whether or not your players respect and have confidence in you as a coach goes a long way to build or undermine their sports confidence; particularly after adversity strikes a player or team. 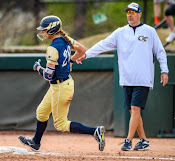 For parent your unconditional support of her on the diamond will go a long way towards building her sports confidence and elevating her game performance. Unreasonable expectations, constant judgment and criticism of her performance will absolutely serve to systematically destroy what ever sports confidence she has and will likely also do damage to her self-esteem as well. Younger athletes, by definition, want to please the adults around them in order to be accepted. 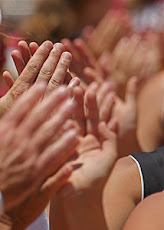 Show praise, support, respect and appreciation for the hard work, effort and sacrifices your athlete gives to her sport. Simple praise over criticism can do wonders to build both "trait" and "state" confidence in any younger athlete. 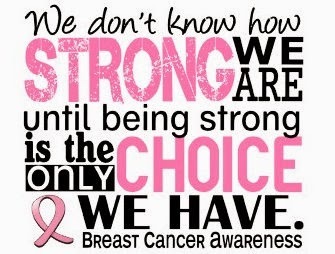 It's your choice, so do the right thing! 6. 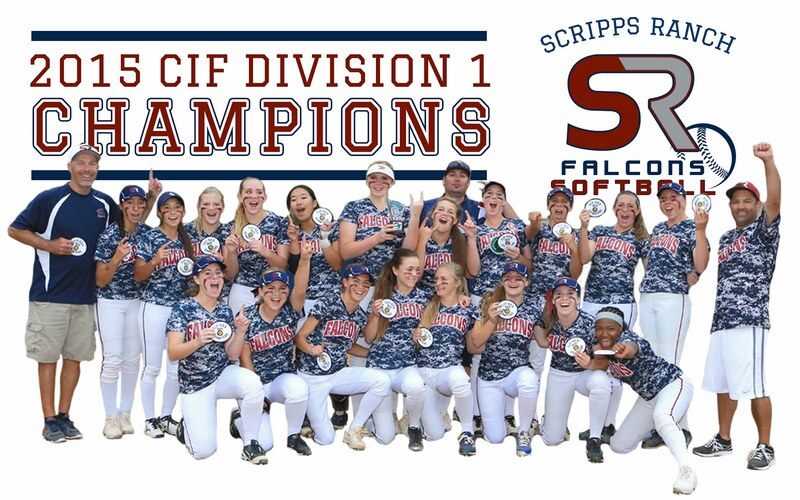 Accomplishments - In a sport with so much failure inherent within it fastpitch softball can tear into an athlete's sports confidence and submarine her game performance in a nano-second. 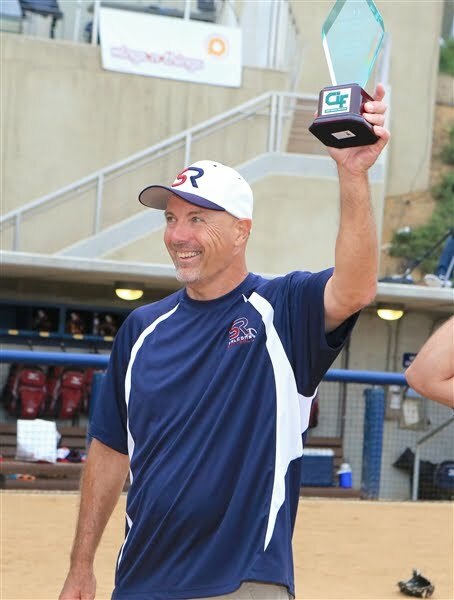 I teach my athletes to remember every little success they have achieved on the diamond (both in games and in practice); to pat themselves on the back as much as possible. Certainly not to get a swelled head of "over-confidence"...but, rather, to acknowledge and feel good about the progress they are making. 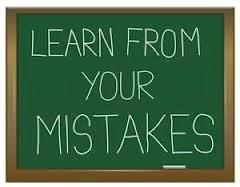 If all the athlete focuses her thoughts and energy on is how she "failed" or on her mistakes she will have no shot at cultivating a healthy dose of sports confidence and, thus, her game performance will always fall woefully short of her potential. Fixating on results only will never be a recipe for elevating confidence and performance...NEVER! 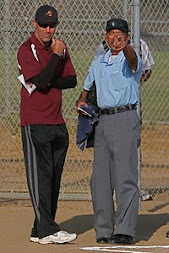 As parent or coach help your athlete(s) to focus her thinking on the process of getting better. 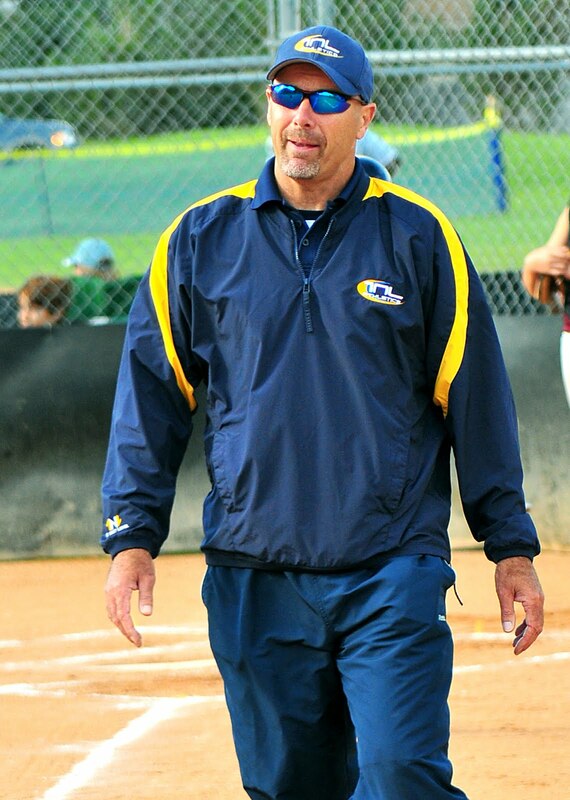 Remember, the road to softball mastery is a journey that will not be accomplished over night! She and you should be solely concerned with those factors she has 100% control of as an athlete...her effort and her attitude, not the outcome of one at bat or one game. In the big picture of developing as an athlete and woman are the results of a single game really that important; especially if the athletes involved are 10, 11, 12 or 13? Hopefully you can embrace the exactitude of the confidence-performance connection and will commit to applying the strategies and suggestions I have made in this post. Sports confidence is a fickle thing. It requires nurturing, patience and understanding. It also requires that the parent or coach take a pro-active role in his or her player's well being; her self-confidence, her self-esteem and her joy for playing the game. Unfortunately there is no magic pill you can give an athlete to miraculously transform her sports confidence and game performance levels. It is a long process of growing up as it was for the athletes in Greece in 776 B.C. 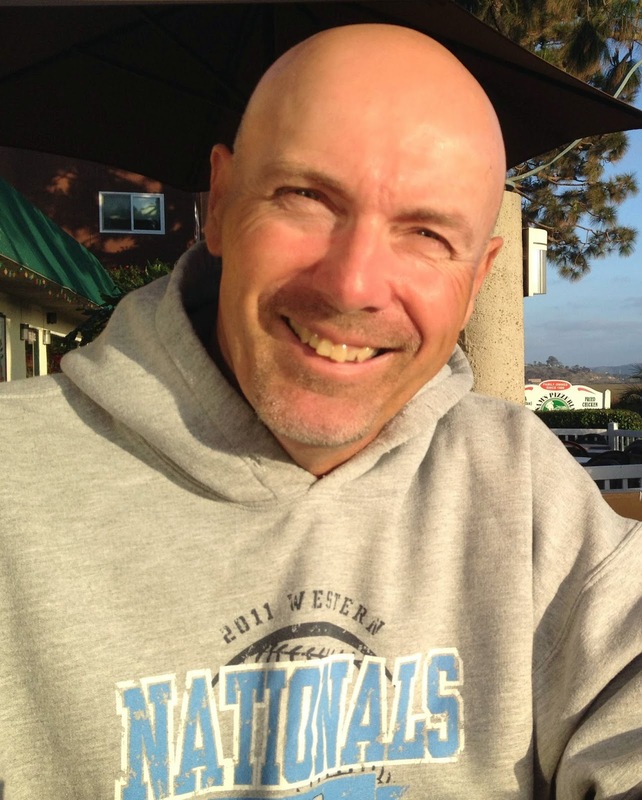 I have developed 12 pivotal strategies for building rock solid sports confidence and optimal game performance in both players and teams that will be covered in detail at my upcoming FREE webinar: The Mental Game Playbook Series: 12 Pivotal Strategies to Skyrocket Sports Confidence and Game Performance! Sign up for the FREE webinar here. "Whether or not your players respect and have confidence in you as a coach goes a long way to build or undermine their sports confidence"
Great point! If you look and sound like you know what you are doing (even if you have to fake it sometimes) your team is going to trust you as a coach and trust that what they have learned is going to carry them through. If your team doesn't respect you they won't trust you to teach them and that can make them feel like they are just going at it alone.